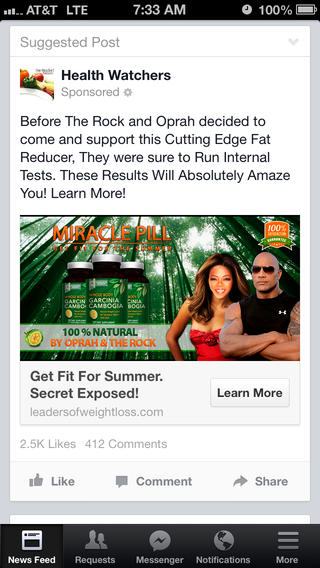 You guys, I didn't even know Oprah and the Rock hung out, much less made 100% natural products. Oprah and the Rock even ran INTERNAL tests on them, so you KNOW they work! Plus look at those photos- damn, Oprah is looking great! And is definitely standing next to the Rock in real life, in a forest. Sidenote: I would give up a kidney if someone made a tv show called "Oprah and the Rock" where they worked together solving crimes. You cannot tell me that would not be one of the greatest shows in the history of the world. The opening credit possibilities alone are endless!